Ideals of free speech, and related ideals of free science, were developed at a time when the danger was the despotism of a single, dictatorial voice, religious or political. They need rethinking at a time when a second type of danger is even more salient: a free-for-all of many, undisciplined voices. Just as light pollution stops us from seeing the stars, so pollution of the news and science media stops us from tracking the truth. Worse, it invites us to wallow in our preferred view of the world, signing up to whatever view most appeals, whether about the origin of our species, our impact on planet earth or the nature of the universe. Freedom requires that we should be entitled to our own opinions, as Daniel Moynihan once said, but not that we be entitled to our own facts. 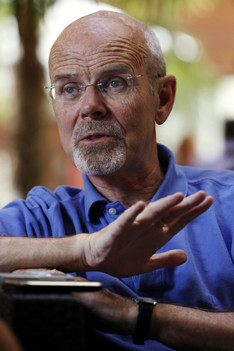 Philip Pettit AC jointly holds a position as Distinguished Professor of Philosophy, Australian National University and L.S. Rockefeller University Professor of Human Values at Princeton University. 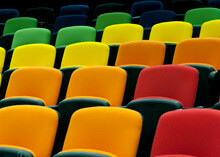 He works in moral and political theory and on background issues in the philosophy of mind and metaphysics. He is the author of a number of books, including *Republicanism: A Theory of Freedom and Government*, which has been translated into over a dozen languages. He gave the Uehiro Lectures in Ethics at Oxford University in 2011, which appeared as *The Robust Demands of the Good* in 2015 and the Tanner Lectures in Berkeley in 2015, which appears in 2018 as *The Birth of Ethics*. He is giving the Locke Lectures in Philosophy at Oxford in AprilJune 2019. *Common Minds: Themes from the Philosophy of Philip Pettit* appeared from OUP in 2007, edited by Geoffrey Brennan, R.E.Goodin, Frank Jackson and Michael Smith.